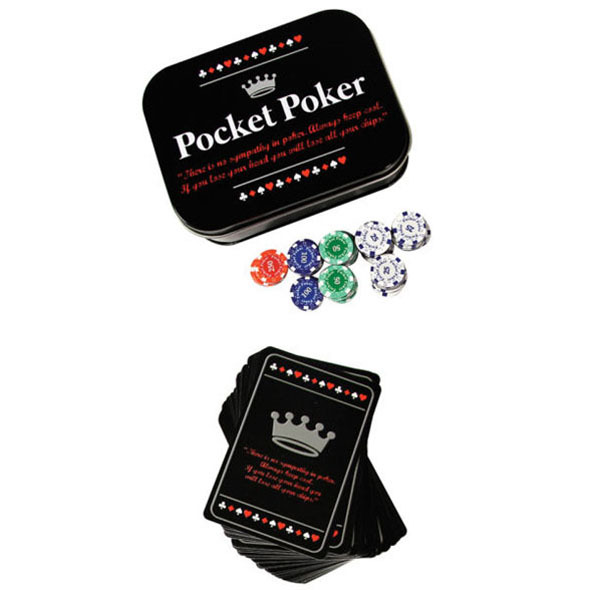 Be the life and soul of the party and gamble on the go with this amazing Pocket Poker set! The mini poker set contains everything you need to rinse the wallets of your chums time and time again - if your poker face is good enough, of course! The set tucks away in a tiny tin which you can then pop back in your pocket once you've collected your winnings and pop off to try your luck against someone else! There's not much more fun than beating your mates in any context, but when you're beating them and earning money from it the glory is oh so sweet. Groups of lads frequent the casinos to gamble their lives away and hope to earn a little dosh, but with our Pocket Poker Set you need not leave your home for the thrill of a quick buck! 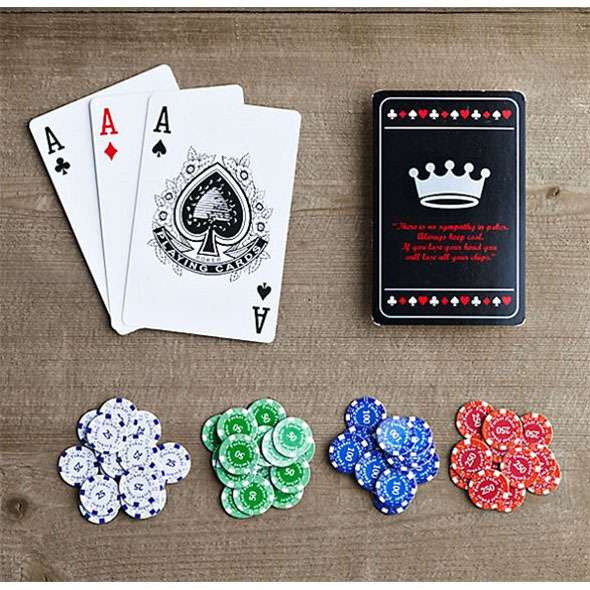 Gather your pals and have a party, then whip out the Pocket Poker Set and let the games begin. You can play for hours, or until all the money is gone and then head out on the town to flaunt your excessive winning! Then the game folds back in to the tiny box and back in your pocket for the next time you wish to train your mates bank accounts. 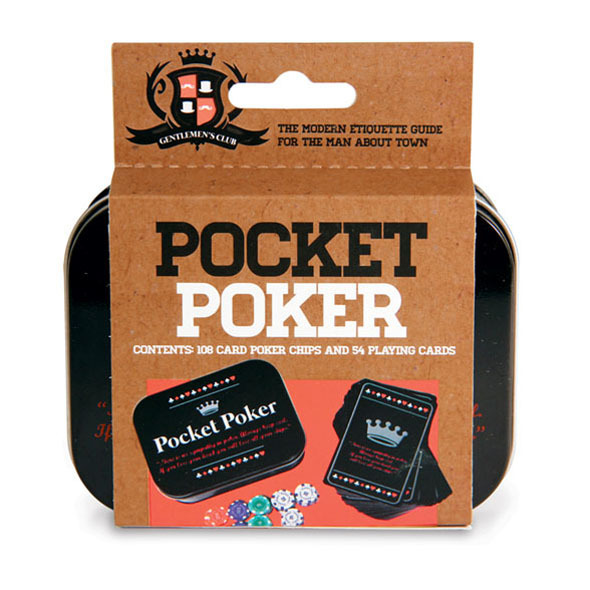 Make your gatherings a little more interesting with our Pocket Poker Set - the perfect party piece which slots back into a tin and fits in your pocket.